With a frame of 6’2 and 300 lbs., John Franklin Candy was famous in Hollywood for his loving and huggable persona. He was born on October 31, 1950, to Sidney James Candy and Evangeline, in Toronto, Canada. As a child he was extremely outgoing and amiable and an excellent student and football player. It was while he was studying Journalism at Centennial College in Toronto, he realized that he could potentially use his likeability and comic timing to start his acting career. Hence he started giving auditions for minor roles and landed movies like, “Class of ‘44” (1973) and “The Silent Partner”. It was in 1976 that his presence was finally spread in America with the comedy series, “Second City Television” which was picked up by NBC in 1981. The audiences loved his characterizations and some of his most famous ones include; Doctor Tongue, Yosh Shmenge Harry, “the guy With the Snake on His Face” and Tommy Shanks, amongst others. Following late 1970s, J ohn Candydecided to make his transition from television to movies and appeared in a guest role in Steven Spielberg’s “1941”. In 1981, he got his first break as a critically acclaimed actor with the movie, “Stripes” which became one of the most popular movies of that time. He hosted “Saturday Night Live” in 1983 and according to Bob Odenkirk, Candy was one of the best hosts of SNC and was also probed to host many times to which he refused. In 1984, John Candy starred with Tom Hanks in the movie, “Splash” in which he plays the role of a womanizer. His work in the movie was greatly appreciated and he soon went on to appear in big movies like “Planes, Trains and Automobiles”, “Summer Rental” and Brewster’s Millions”. By now he had established himself as a legendary comic actor, widely loved by both his co-workers and fans. In 1983 he also made headlines with his work in the movie, “Going Berserk”. However in the 1990s, Candy’s career started going downhill as his movies generally did not fare well. His role for the movie, “Nothing but Trouble” in which he played a woman, earned him the nomination for the “Worst Supporting Actress”. In between, he took part in movies like “Rookie of the Year” and “Home Alone” which even though were big successes individually, did not highlight him as an actor. 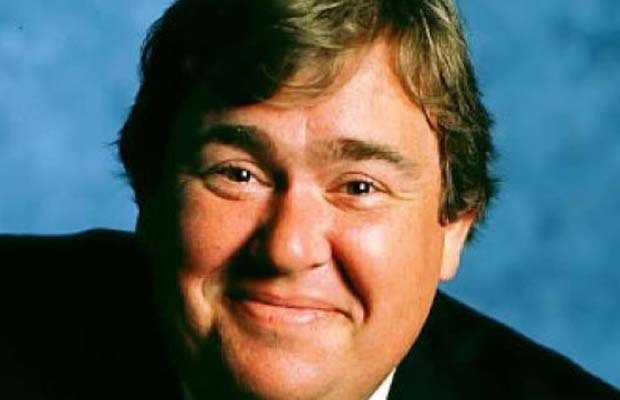 John Candy then however decided to alter his image from being primarily a comic actor to turning towards more serious and versatile roles. He appeared in movies like “Only the Lonely” (1991) in which he plays the role of a cop stuck in between a demanding mother and girlfriend. He also played the role of a crooked lawyer in the movie, “JFK”. His passion for football made him buy “Toronto Argonauts”, a Canadian Football League team in a partnership with Bruce McNall and Wayne Gretzky, in 1991. However he soon decided to put it up for sale in 1994. Candy was also notorious for mimicry and some of his impersonations of celebrities included that of; Julia Child, Don Rickles and Silvio Gigante among others. It was while he was shooting for “Wagons East!” in 1994, that he suffered a heart attack and died at the age of 43. In his personal life, he was often troubled with his weight which had reached 325 lbs. and expressed desire to be slimmer but was worried that it would cause him to lose his fans who loved him for his gigantic size.